2×4-pin connector with I2C interface. 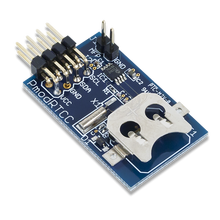 Pmod RTCC is a real-time clock/calendar powered by the Microchip MCP79410. 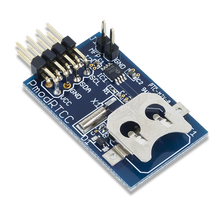 Through the I2C interface, users may configure up to two alarms that can be triggered at a wide variety of possible times. Related links to "Pmod RTCC"